Get this high quality machined pen in steel, copper, aluminum, titanium, or brass. Schon DSGN founder Ian Schon has long been fascinated with heirloom-worthy items, ones that will outlast the owner. With this passion, he began to design and craft his own high-end pens in his Massachusetts garage. Although Ian Schon no longer personally turns each pen on his 1940s-era Clausing lathe, he continues to produce pens of sticking beauty and incredible structural integrity in partnership with local manufacturing shops. 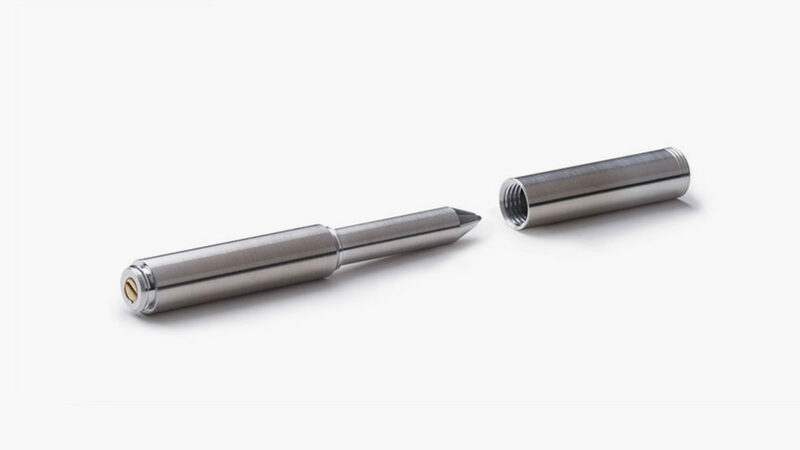 The Schon DSGN Classic Machined Pen is all about customization. You can order them in a wide range of weights and materials, from the 3.2-ounce polished copper model to the 1-ounce polished aluminum model. Other popular Schon DSGN pen options include high-grade polished titanium, matte-finish tumbled stainless steel, black anodized aluminum, and the popular polished brass. Built on a foundation of full PC power, the updated Oculus Rift S caters to serious gamers and techies with its improved optics and VR experience. The new 7.9-inch iPad Mini is a powerful and versatile tablet solution for on the go. This high security smartphone protects from not only data breaches but also extreme physical conditions.